This workshop is for people who feel stuck in a rut with their daily makeup routine. Bring in your makeup bag. We will design a new look for you that will bring you up to date. This workshop is 2.5 hrs. 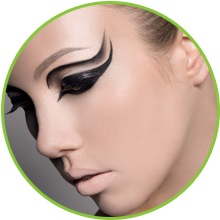 In the third class how to apply liquid liner and false lashes and how to contour the cheekbones, nose and face. In the fourth class we will perfect the contoured and highlighted look. How Do You Know This Workshop is For you? If you find yourself at a lose for how to do your own makeup for a job interview, an event, or a photo shoot (this includes facebook and drivers liscence pictures!). If you are stuck doing the same makeup routine since the 90′s! 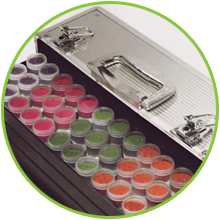 All extra makeup and tools that are not included in the beginner’s kit that are used for in class work. Yaby palette with customized powder, highlight, brow shadow, 4 eyeshadows, blush, 2 lip colours, and a concealer. 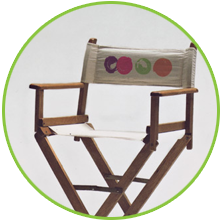 * The Beginner’s kit has a retail value of $275 and is included in the price of the course. The kit will be given to you on the first day of class. Now accepting One-on-one students. Customize your schedule to what works best for you. This is a chance for you to customize your dates and times for class! One-on-One instruction is $75/hr plus HST. One-on-One packages are 3 hours for $225.